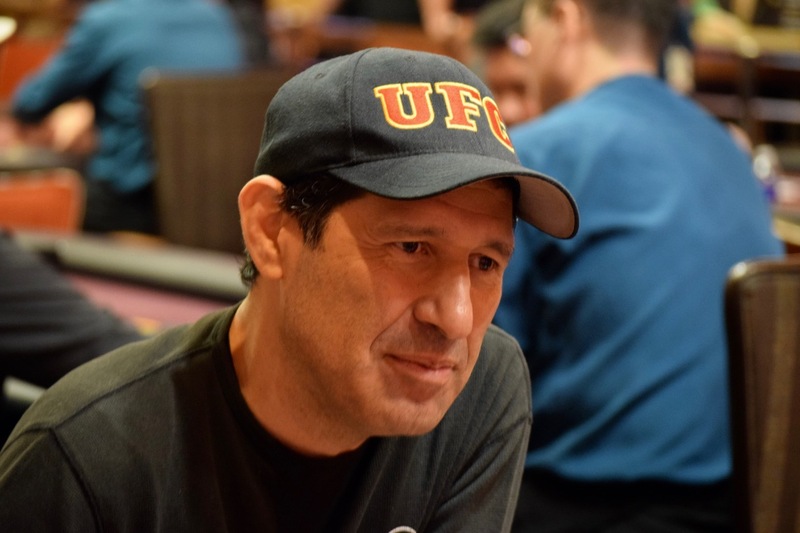 @AnteUpMagazine Publisher Scott Long falls in the quarterfinals to Ray Villaman (above). Long cashes for $1,3860 and Villaman moves on to the semifinals to face Joseph Hinds. The winner of the Villaman v. Hinds match advances to the Championship best-two-out-of-three match.